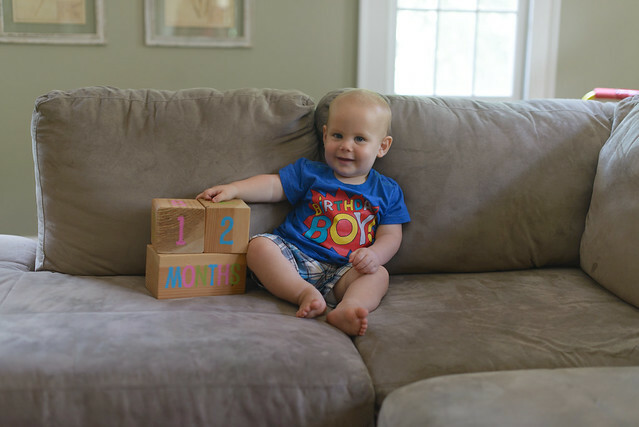 Blogging Miz Daisy: Thomas is ONE year! The years are just going to get faster and faster. 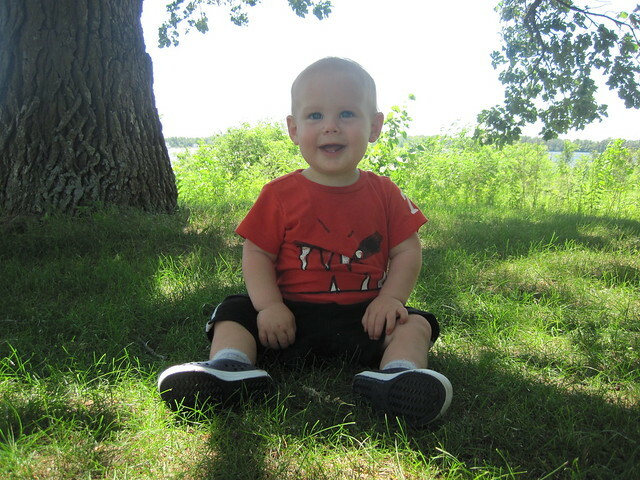 And thinking about this guy and how every milestone he hits will be our 'last baby milestone' is bittersweet. 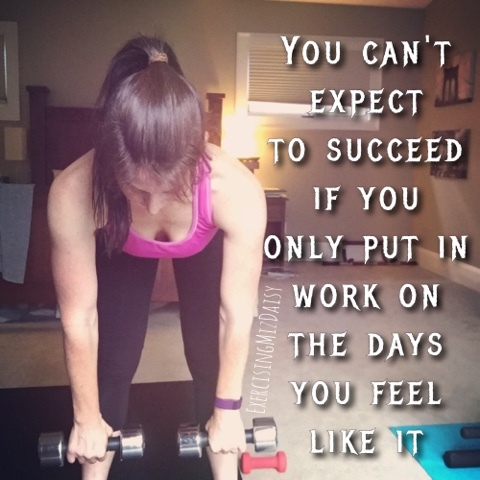 We have been in this stage for a long while and as much as we soak in the good we also push through the hard. 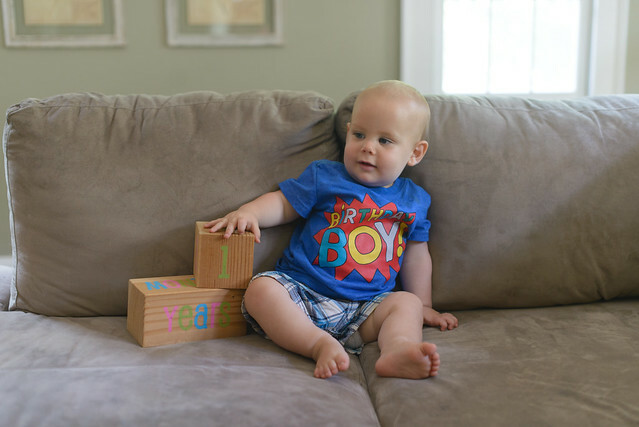 I'm a little late to blog his birthday celebrations, but we just had his 1 year check up today (when I started typing this, it is now a week later haha), so now I have more info to share :-) He's growing like a weed, as normal. Not quite as big as Isaac was at this point, but bigger than Mary and Emma were. He weighed 22.5 pounds and was about 28 inches long. They still measure laying down so ya know that's not always the most accurate. Okay I actually just stopped writing this to measure him standing up and he's 29.5 inches. 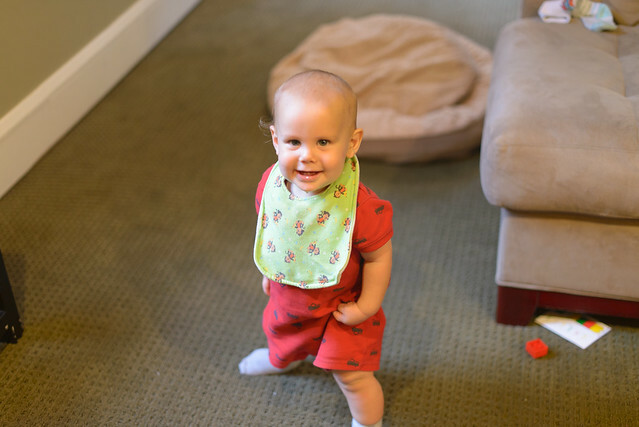 Showing off his early walking skills. 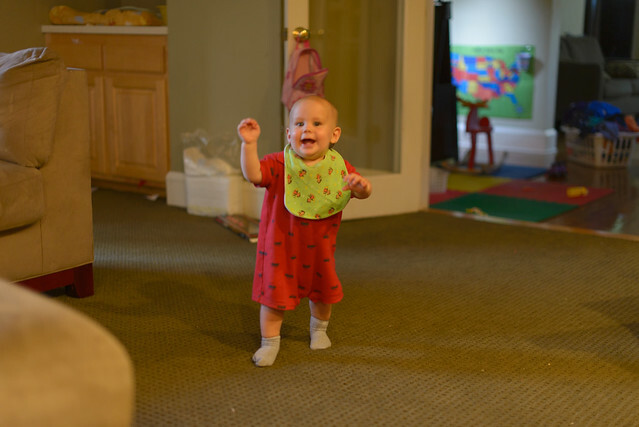 Now he can walk all the way across the living room without falling. Birthday cake celebration the Sunday night we got home from camping. We walked to dinner at noodles, then picked this up at Ben & Jerry's with a gift card I had won. Kyle and Isaac sped walked home since it was 90+ outside and we didn't want it to melt. Then I walked with pokey 1 and pokey 2 who took turns hitching a ride on the front of the stroller. Grandma Judy sent some balloons, Thomas loved playing with them! And more birthday cake the following night.